The shoulder is such a clever joint. With the upper arm bone nimbly suspended by delicately balanced muscles and ligaments in a shallow spoon-like cup, the shoulder’s architecture allows maximum motion in every direction. But all that range of motion can come at a price. Especially when we suddenly take on the delights of summer — swimming, baseball, softball, tennis. The result? Shoulder pain. Barb Eliason says her shoulder hurt, but she didn’t let the discomfort stop her from doing what she loved — swimming. “I found other ways to swim. I really favored my arm and couldn’t do anything with it. I just basically swam without using my one arm. I couldn’t even let it fl oat because it would hurt so bad, so I held it to my side and did a one-handed breast stroke or side stroke,” Eliason reports. The condition persisted for three years before she decided to seek physical therapy from John McKinnon, PT of Four Seasons Physical Therapy in North Spokane. After evaluating her, McKinnon found she had hypermobility, or excessive motion, at her shoulder joint. One common mistake is to stretch the sore area. Unfortunately, in this case, stretching makes the problem worse because it causes the joint to become even looser. A key point is to always protect the shoulder. “One of the common mistakes that people make,” McKinnon says, “is when they reach back in their car to get something out of the back seat, they stretch the shoulder at its end range, and then they load it by picking up something. This combination causes increased stress on a person with shoulder instability.” It is very important to stay away from pain at all times, even with the exercises. The most important part of this program is to stick with it consistently for six to 12 weeks. 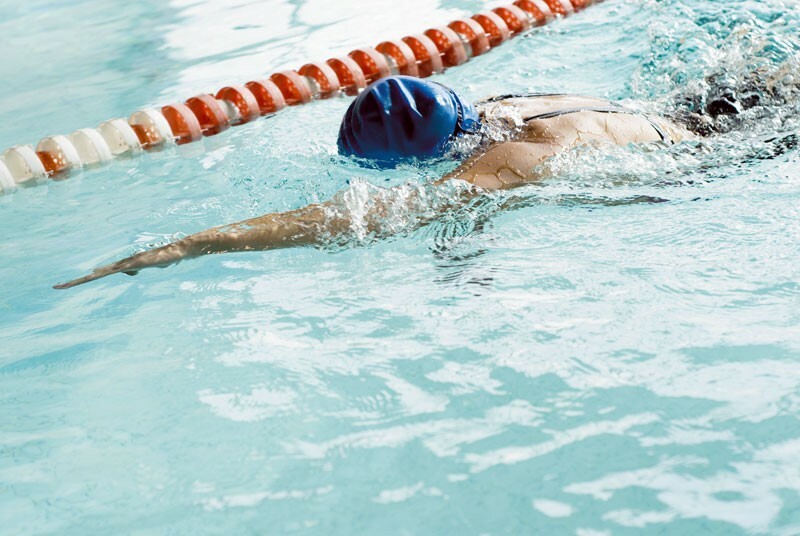 Eliason did just that: “I am still doing my exercises daily about 20 minutes a day.” She’s now back to her daily swimming program, pain-free, with both arms. Marie Cole is a physical therapist and instructor in the PT assistant program at SFCC.